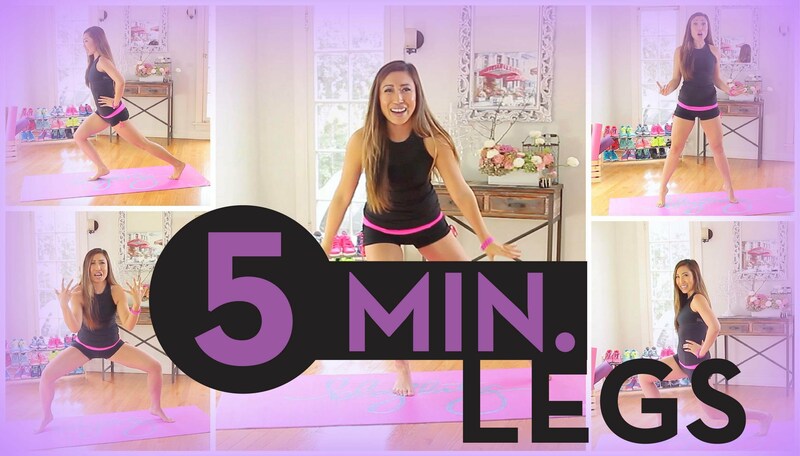 This 5 min leg toning workout will get your inner thighs, outer thighs, calves, and quads super sculpted! 5 moves, 1 minute each. You can do this! My book comes out so soon! Get it now! Cassey Ho is a certified Pilates and fitness instructor, named Greatist's Top 25 Health & Fitness Influencers in the World alongside Michelle Obama. She is the winner of the “Social Fitness” Shorty Award and FITNESS Magazine named her their “Best Healthy Living Blogger”. She's been featured on Dr. Oz, EXTRA TV, The Steve Harvey Show, COSMPOLITAN Magazine, SHAPE Magazine, Ladies Home Journal, SELF Magazine, NY Times, LA Times, and many more. Skip the gym. Oxygen Yoga and Fitness is a better overall workout.